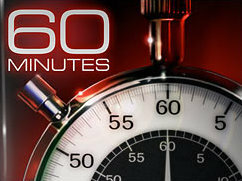 60 Minutes investigated the growing inability of many state and local governments to pay their bills. The resulting video focuses on facts that point to: 1) these state/local governmental entities (quasi “sovereigns”) have been borrowing and spending irrationally to provide seemingly “free” benefits, “entitlements” and pensions for over a decade; 2) much of the public has become dependent on these seemingly “free” (actually borrowed, debt-based) benefits; 3) the state and local governments’ ability to continue borrowing is ending; 4) these governmental entities’ ability to continue to supply the benefits, “entitlements” and pensions previously promised is ending; and 5) there will be a national catastrophe when those who depend on gov-co handouts are suddenly deprived of their primary means of support. This is no joke. We may see Americans begging for food or housing. We will almost certainly see riots and political upheaval. The video predicts that local governments (quasi “sovereigns”) will be the first to default on their debts and that state governments (quasi sovereigns) will tend to follow. This sequence implies that the federal government (another quasi sovereign) may be the third level of government to openly defaults on its debts. Those who depend on local and state financial support are not merely individuals–they also include institutions like hospitals, mental health facilities, etc.. These institutions are currently going deeply into debt to compensate for the funds they are already not getting from the state. These institutions are hoping and trusting that the states will soon resume their financial support. If the states fail to provide that support, highly-indebted institutions will inevitably also suffer financial collapse. A big test will come this spring when federal bail out money for states will run out. No guarantees that the feds will ride to the rescue. If they do, we can expect more inflation. If they don’t, we can expect the collapse of some local and state governments. Either way, investors will increasingly view municipalities as too insolvent to be treated as risk-free borrowers. Result? The municipal bond market will be badly impaired and possibly collapsed. Insofar as our alleged “sovereigns” (local, state and federal gov-co’s) can no longer borrow more money to sustain the illusion of “free” benefits, the supply of seemingly free benefits, entitlements and pensions will dry up. The result may be a calamity for those who depend on gov-co support. He’s right. If the municipal bond market collapses, those banks holding muni-bonds should also collapse. I started warning people about such possible economic collapse on my radio shows in A.D. 2003. In A.D. 2008, I first realized that the total US debt had grown so enormous that it could never be repaid in full and would probably be repudiated by 80 to 90%. (“What can’t be paid, won’t be paid.”) At that time, I concluded that a national economic collapse was inevitable. I certainly wasn’t the first person to realize or attempt to warn people of the magnitude of our financial/ economic problems. But most of those early warnings from myself and others were broadcast over alternative media like short wave radio shows and the internet. As such, the warnings might’ve been interesting, but they lacked credibility. The great significance of the 60 Minutes report on our enormous debt is that now, even mainstream media are reporting the problem. These problems are now more publicly “credible”. Reports in the mainstream media imply that a potential collapse may be fairly close–probably in A.D. 2011, maybe A.D. 2012. We’re watching the dominoes slowly, ponderously fall as local governments, then state governments and finally the federales are exposed as fools, liars, deadbeats, insolvents and bankrupts. Because these governmental institutions are so large, they fall very slowly–but the bigger they come . . . etc..
Big trouble’s coming. Not so long from now. Buckle up. You really do need to prepare: food, water, guns, ammo, gold & silver, & God. Get some. Tick-tock, tick-tock.